There are 2 artists that go by the name Lowe. 1) Lowe was formed by J?rgen 'Leo' Josefsson (vocals/guitar), Rickard Gunnarsson (bass) and Mehdi Bagherzadeh (keyboards) in 2002. 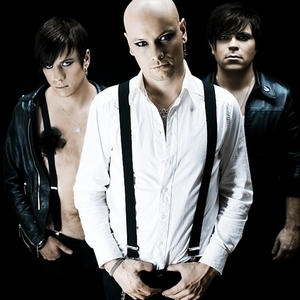 (J?rgen and Rickard are also members of the band Statemachine) In 2005 the band won the "Newcomer Of The Year" award at Scandinavian Alternative Music Awards. Lowe was also the only band that was nominated in three different categories, "Best Song", "Best Album" and "Newcomer Of The Year". 1) Lowe was formed by J?rgen 'Leo' Josefsson (vocals/guitar), Rickard Gunnarsson (bass) and Mehdi Bagherzadeh (keyboards) in 2002. (J?rgen and Rickard are also members of the band Statemachine) In 2005 the band won the "Newcomer Of The Year" award at Scandinavian Alternative Music Awards. Lowe was also the only band that was nominated in three different categories, "Best Song", "Best Album" and "Newcomer Of The Year". 2) Lowe is a fourteen year old Grime MC from Warrington, near Manchester. He has released two promos, New On The Scene, Which contained mainly demos and short tracks, and Established, which had a lot more effort put in, showing a significant improvement over New On The Scene. He does most of his work solo but he has also founded and works with a crew called B2B [Beats2Bars]. He has also become established within his local grime community, and has worked with artists such as Sam Lucas. All his work is available on his myspace.